Vanna K Blog: Unique Style Salute: The Voice's Michelle Shamuel! Unique Style Salute: The Voice's Michelle Shamuel! She may not have come in first place, but she takes "runner up" to a whole new level. The Voice's Michelle Chamuel rocked the finale show on Monday night and had an overall amazing season. Not only did her voice amaze us, but the cool fashion style she developed. Michelle became the unique punk rocker that stole America's hearts, as she learned to love the girl she saw in the mirror. As her coach, Usher brought Michelle's unique beauty out every week in new, lively ways. A trend even developed, as fans of hers began wearing the Chamuel glasses: black, thick-rimmed glasses. Michelle is truly a beauty inside and out. And we at Vanna K are proud of unique stylists like Michelle. We are for every woman, every personality, every style...especially those who want to show how unique they truly are! For Michelle's final performance on the finale, she dazzled in her white suit. For that look, we would have adorned her in the following unique Vanna K jewelry. We would keep it simplistic, yet fun, by adding to her look instead of taking attention away from it. 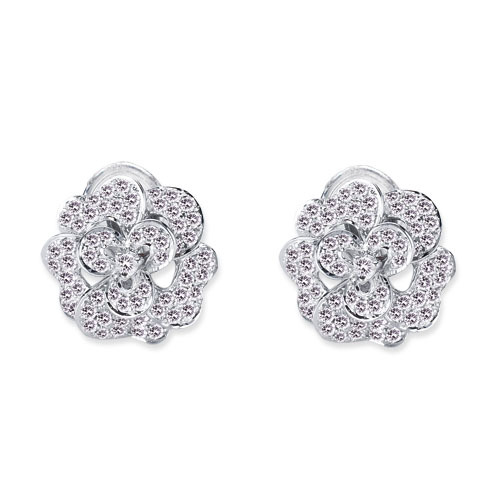 This could be accomplished by adding two beautiful, offbeat rings from our Korvara Collection. 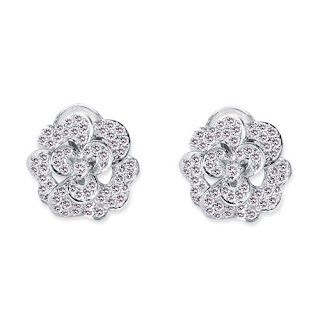 Then we would have finished off by adding simple, but high-sparkle earrings, also from the Korvara Collection. Congrats again to Michelle Chamuel for showing the world your true colors! You can complete your own beautifully unique look today with fashion jewelry from Vanna K.